Captivate kids with God's story! 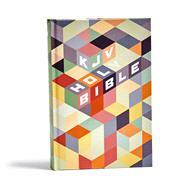 The KJV Kids Bible offers young readers dozens of full-color pages, each filled with study helps to expand kids' Bible knowledge and help them connect the people, places, and events they are learning about. Perfect for home, church, or school, this Bible will grow with your kids as they grow in Christ.